INDIAN RIVER COUNTY, Fla. — Superintendent Dr. Mark Rendell of the Indian River County School District said Wednesday the district is financially stable. His comments came in the wake of a school board meeting Tuesday where a spending moratorium was considered, but ultimately not pursued. "Financially, until we find a new CFO and put him or her in place, there are some questions that we have," said Board Chairwoman Laura Zorc. Zorc said last month, the CFO and finance director both quit. That former finance director said the district’s fund balance was at 2.5 percent. "It’s our savings account, so let’s say we have a hurricane or we have mishaps where we need to call in School Resource Officers, we need to be able to pull from that account immediately," Zorc said. If a fund balance falls below 3 percent, the district has to notify the state. Below 5 percent and the Superintendent has to tell the board and come up with a plan to get back above that threshold. "I am very confident that we will not be below 3 perfect, not reporting anything to the Commissioner of Education, or the state, and my goal is to be above the 5 percent," said Dr. Rendell. So how did the district get here? Dr. Rendell claimed the 2.5 percent figure had some incorrect calculations of expenditures. 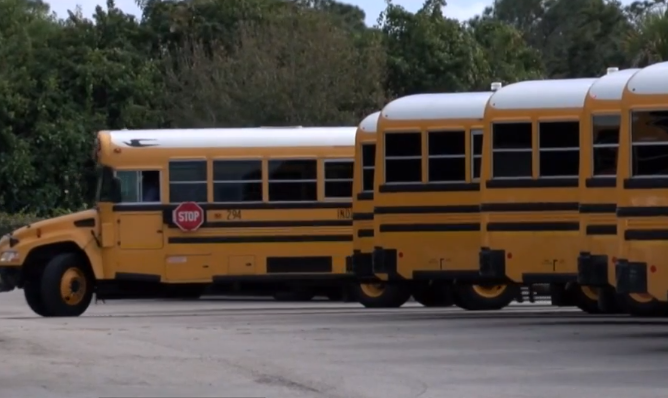 The district is taking about a $1 million hit in transportation funding because it overprojected how many kids would be riding the bus. Rendell said they’ll get some of that money back. "The number of students we have in our district overall, increased. So we’re actually receiving increased funding from the Department of Education because we have more students to educate," said Dr. Rendell. The Superintendent will present a fuller picture of the district’s finances when he meets with board members at the end of the month.